Utterly disgusting.... if not a Ferrari-Cell creation, which is highly likely. If this aid is true, i am done with PTI. Go to Hell. Faisalabad University is in Punjab PTI rules Punjab and the chancellor of University is Governor Sarwar. 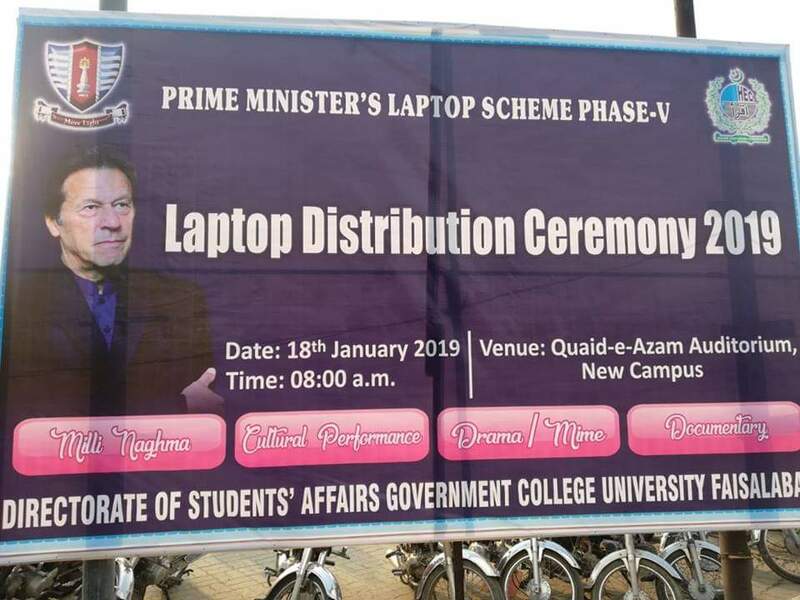 so who is letting them use Imran Khan's Pic and distribute laptops ? very bad. Why are they still continuing laptop scheme. Very sad to see this. 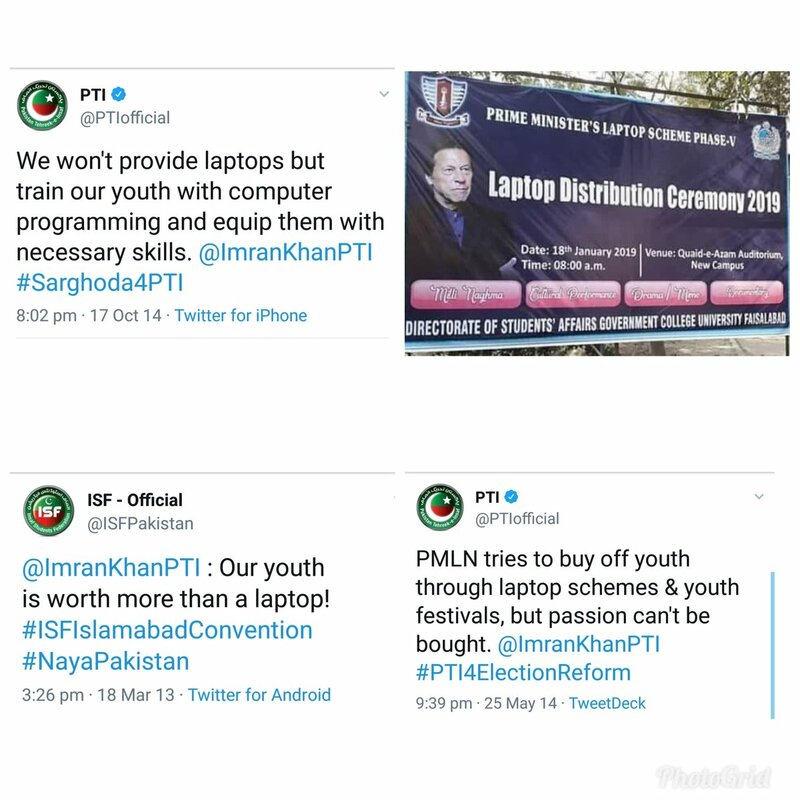 Pti didnt need all this for its marketing. Gustakh kis ka? Khud hazrat muhammad ney bhi us gustakh aurat ko maaf kia tha jo rozana un par kachra phenka karti the. Ketney example chaye aap ko jahan sahaba aur muhammad pbuh ney gustakh ko maaf kia tha. Aap pakistani mullaon ka emaan huzrat muhammaf aur sahaba sey bhi oper ho gya hey kia? Maulana pain di siri k chahaney walo ka emaan kahan gya q nahe nikley koi pain di siri ko rescuue kerney? Just look at how medicine prices were increased today.i have 100 differences with Shehbaz but at-least he wasn't naliq and a proxy cm like the current one's who can't manage anything.Nothing have changed.Things are worse that before. Achanak kya howa? Ab tou fouj bhe peechay hai , na Khadim Rizvi, na Nawaz , na Shahbaz, na zardari koe nahe tough time dynay k leye..